It is necessary to monitor serial port when transmitting information. Eltimate Software has created Serial Port Monitor ActiveX Control, the user will be able to manage the exchanges between applications and the issues that occur. Methods: The program offers the user the possibility to see if a port is opened or closed. He can also know which of the applications did that. This action can be done thanks to the Unique OnOpenClose function. Events: Serial Port Monitor ActiveX Control enables to know the status of the data which is transferred or received thanks to several events. They are abbreviated like OnDTR when the data-terminal-ready signal is changing state for instance. Properties: This utilitarian has a sniffing property called IsSniffed used to fully monitor any serial port in the system. This tool gives the user a report of the serial port if it was sniffed or not. The user does not need to reboot when installing. No programming skills are required to use it. 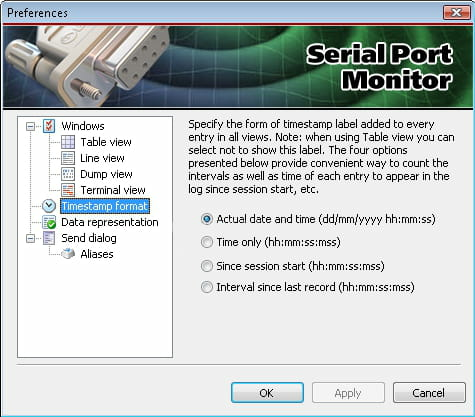 This is a demo version of Serial Port Monitor ActiveX Control. Latest update on June 23, 2015 at 10:10 AM.